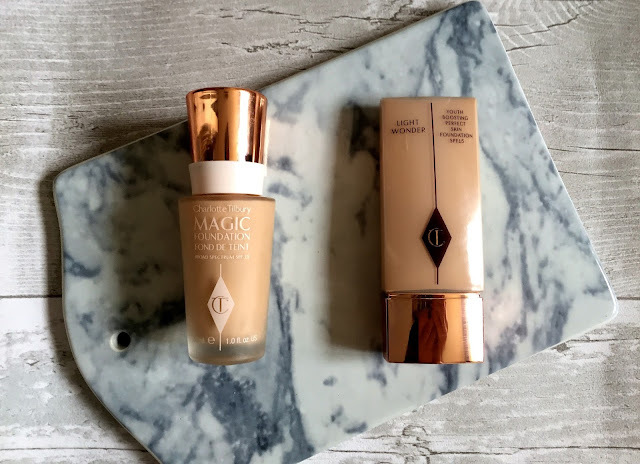 The Charlotte Tilbury foundations: Which one should I choose for my skin? a) liked it b) preferred it c) didn't like it at all. Which one should you choose for your skin? Firstly I would like to tell you that my skin is quite dry and dehydrated on the cheek area with some redness. I don't suffer from acne/spots as such but I do find that foundations stick to dryer patches on my cheeks. This is why I really liked the wonder glow foundation. I think it is similar to the burberry fresh glow/nars sheer glow. It is a light-medium coverage that remains dewy on the skin (even when I am having a dry skin day). It never stick to dry areas and is the perfect every day foundation. If I want to build up the glow, I will wear the wonder glow beauty flash primer underneath. 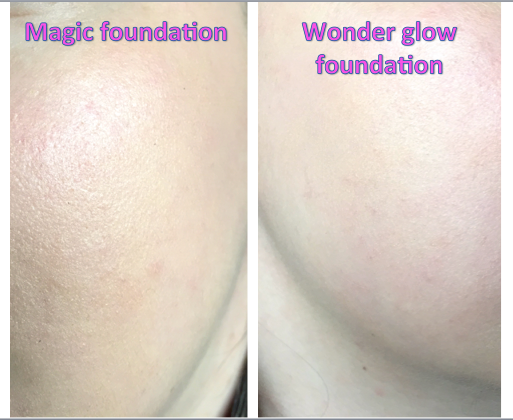 As you can see, the magic foundation does give a much fuller coverage. These are both in the shade 3 which is for fair to light skin with cool undertones (to counter act the redness). I do like to wear a fuller coverage foundation for special occasions/ nights out or when I need it to last a long time. The magic foundation was a lot matter than I was expecting. Charlotte tilbury says this is a semi-matte foundation but on my dry skin I would say this is matte. I like the coverage and the feel to this foundation. It smells like vanilla yoghurt and feels light on the skin which is quite surprising given its fuller coverage. I would say this is most similar to the Estee Lauder double wear but not as heavy on the skin. I did have some sticking to the dryer areas (you may be able to make this out on the photo) and for my personal taste it was a little too matte. I added some of the hourglass incandescent light powder over the top to give me more of a glow. I love that you can find your foundation type and shade on the website and helps you to choose the right foundation suited to your imperfections e.g. acne/redness/large pores etc.